Image from the 2015 Camden Clean Campaign. 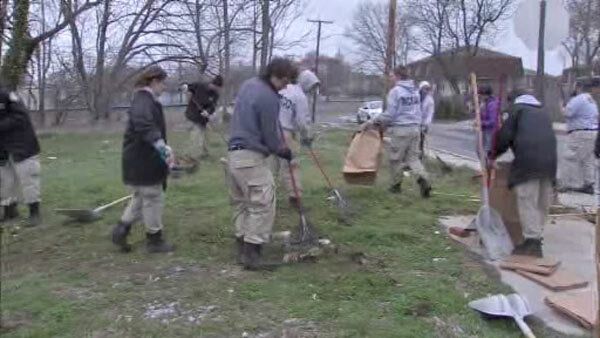 CAMDEN (WPVI) -- The eighth annual "Camden Clean Campaign" began Wednesday. Mayor Dana L. Redd, joined Council President Frank Moran and Members of Council, Power Corps members, residents and volunteers at 1826 Broadway to kick-off the campaign. This clean-up is the first of twelve scheduled events for this spring and summer. All Events: 9 a.m. to 2 p.m.